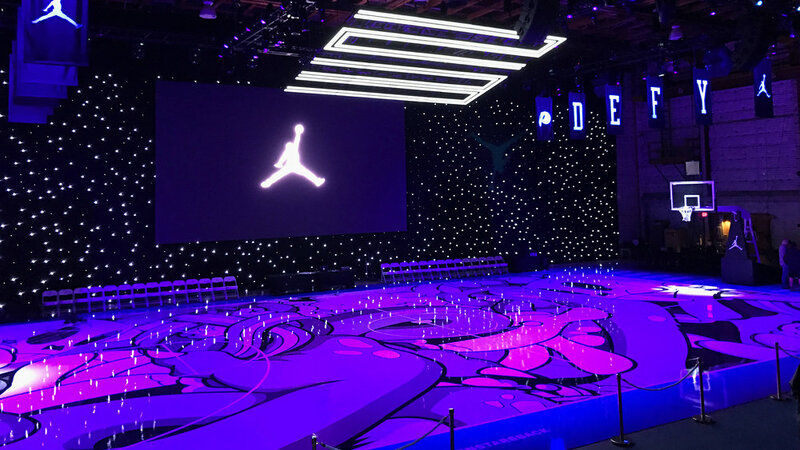 To celebrate the 20th anniversary of the classic animated movie, Space Jam and the return of the Air Jordan 11 Space Jam, the most anticipated sneaker release of all time, we created awe inspiring experiences in Los Angeles and New York City. At the iconic Warner Bros. 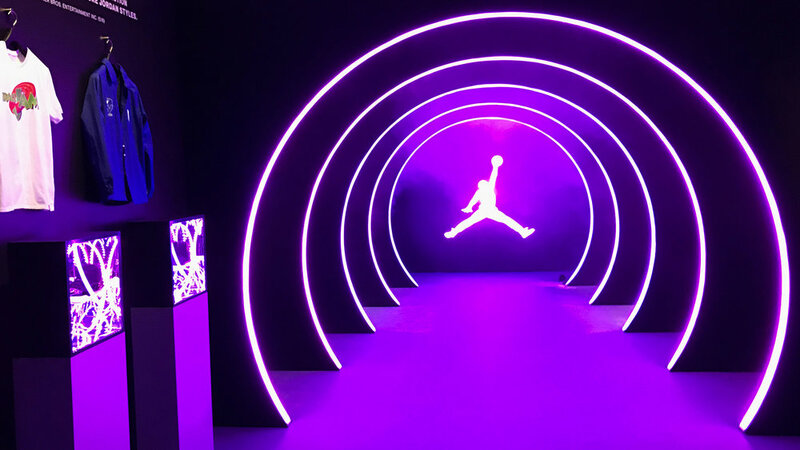 Studio Lot in Los Angeles, we created a galactic, star-filled, full court basketball experience with a larger-than-life LED screen and lighting effects complete with a consumer journey through a tunnel of lit rings highlighting Space Jam commemorative artifacts. 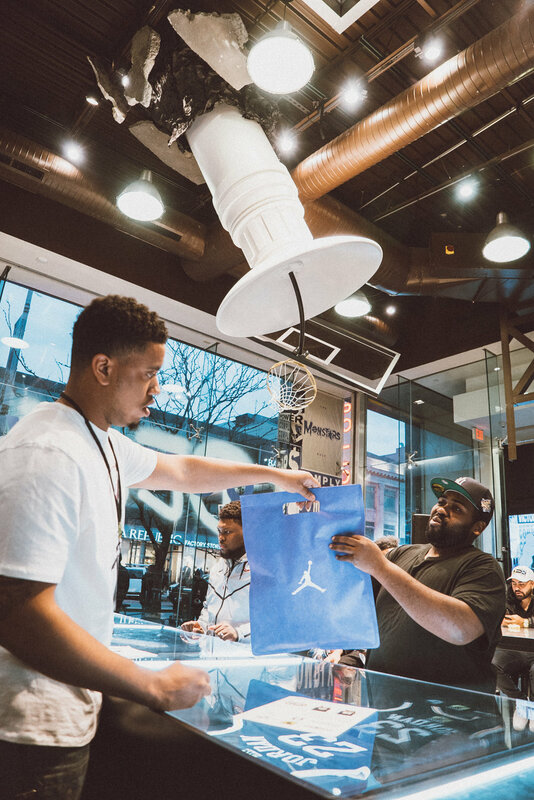 We designed, fabricated and installed a retail store experience with Jordan Brand at the House of Hoops Harlem in New York City. 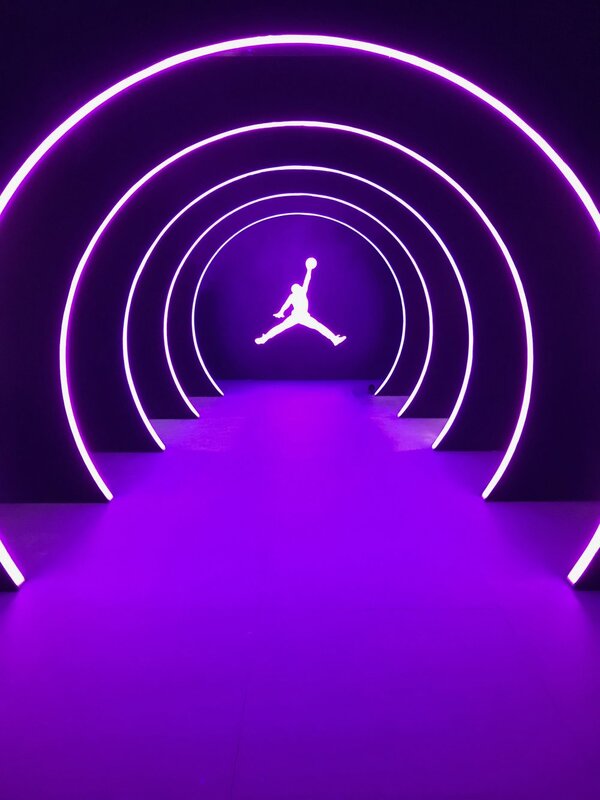 The retail execution consisted of a build out for the Space Jam initiative, live performances, DJ’s and customization. 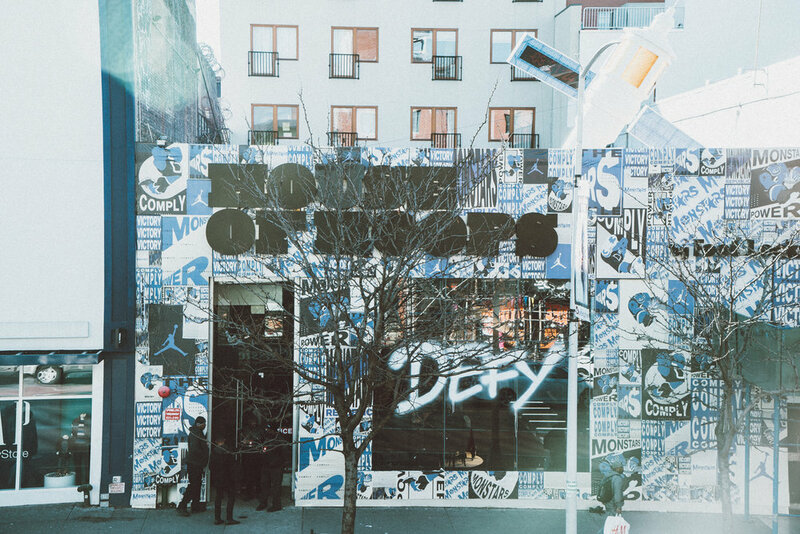 A highlight was the giant satellite that “crashed” through the roof can be seen from the exterior and on the interior of the store. The tail of the satellite is on top of the roof while the front extended from the interior ceiling down and included a basketball hoop. Everything was focused on the center of the store/window.